Property 2: A Tranquil Oasis in Red Rock Country! Property 7: Canyon Mesa Country Club Town-home with Mountain Views. Sedona Townhome at Canyon Mesa on Golf Course with Red Rock Views! Property 12: Sedona Townhome at Canyon Mesa on Golf Course with Red Rock Views! 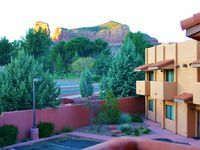 Cozy Sedona Townhome near Red Rock State Park! 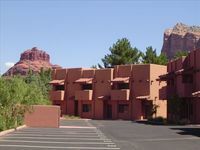 Property 14: Cozy Sedona Townhome near Red Rock State Park! Property 17: Stunning Red Rock Views, Newly Remodeled, Best Location and ALWAYS CLEAN! Luxurious, Upscale Townhome In Sedona. Super clean, gourmet kitchen, comfy beds! Property 25: Luxurious, Upscale Townhome In Sedona. Super clean, gourmet kitchen, comfy beds! Property 27: Peaceful & Cozy Retreat! Property 29: Luxury Red Rock Retreat Townhouse!! Scenic and Spacious! Summer Savings! Property 31: "Oh Wow!" views and activities! Best Value/priced to book! IN THE CENTER OF ALL THE UPTOWN ACTION! VIEWS! Property 35: IN THE CENTER OF ALL THE UPTOWN ACTION! VIEWS! Property 41: NEW! Sedona Home w/ Golf, Tennis, & Mtn View Deck! Perfect For A Couple Or A Family! Property 42: Perfect For A Couple Or A Family! Clean, well maintained. Easy entry to condo and hot tub. Perfect location for enjoying Sedona, which is only 10 min away. Would definitely stay here again.